"Governance means a process of decision making and a process of implementation of these decisions." Governance can be termed in different concepts such as International governance, Local governance, National governance and corporate governance. Both Formal and Informal actors are involved in decision making and in the process by which decisions are implemented. Formal and Informal structures are also set in place to make decision and to implement them. Government is one of the actor in governance. In rural areas the actors involved other than government are: land lords, cooperatives, associations of peasant farmers, NGOs, research institutes, political leaders, religious leaders, finance institutes and military etc. In urban areas the situation is more complex. Here in addition to above actors in rural areas at national level media lobbyists, international donors and multi national corporation are included. All actors other than government and military make a civil society. In some countries organized crime syndicates also perform decision making. In informal decision making Kitchen Cabinets or informal advisers also do decision making. In rural areas powerful local families affect decision making. Good governance ensures the minimization of corruption, hearing of minorities views, voices of vulnerable in society are heared. Participation should involve both men and women in decision making. I should be organized and informed. participation could be direct or through intermediate institution. Good Governance require legal frameworks to be enforced. For the enforcement of laws independent judiciary, incorruptible police force are required. Good governance need to protect the human rights. Transparency means that decision taken and their enforcement should be in a way that follows rules and regulations. It also reflects that information is easily available to the people that are mostly affected by decision making. Information should be in understandable form. 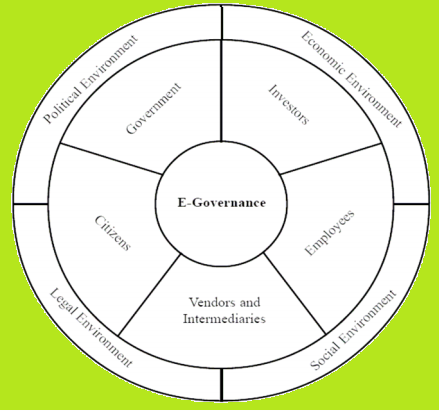 In good governance institutions and processes should serve all stakeholders within time frame. Good governance requires what is needed for sustainable human development, what is best interest for the community. This results in understanding of historical, cultural and social perspective of society. All members should consider they have stake in it and they are not separate from the main society. 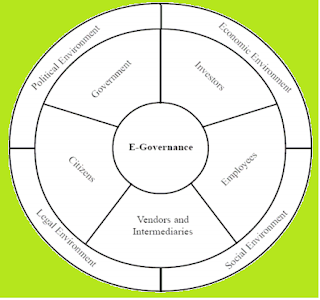 The efficiency in term of good governance deals with sustainable use of natural resources. Institutions produce best results to meet the needs of human society. Government institutions, private sector and civil society organizations must be accountable to public and institutional stakeholders.